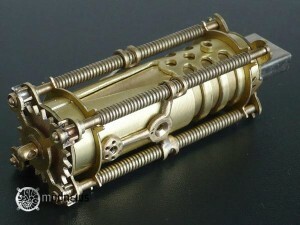 Every tip I can offer on maintaining narrative drive in steampunk is also a tip for maintaining narrative drive in any genre, so it’s already up on the web in the STORY section of my website, www.writingtips.com.au. 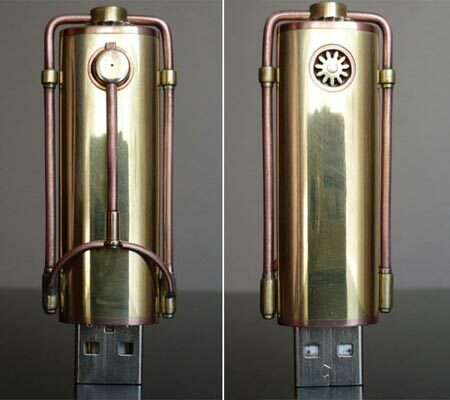 Or maybe just ramblings … but nicely decorated with some of my favourite steampunk USB memory sticks. How you think of steampunk depends on the ancestry you give it, I suspect. If you think of it as a sub-genre of science fiction, you’ll think of it as serious technological speculation, only focused towards the past instead of the future. Gibson and Sterling’s The Diffeerence Engine is serious in that way, and yes, it would make a difference (sorry!) if they got their historical facts wrong. 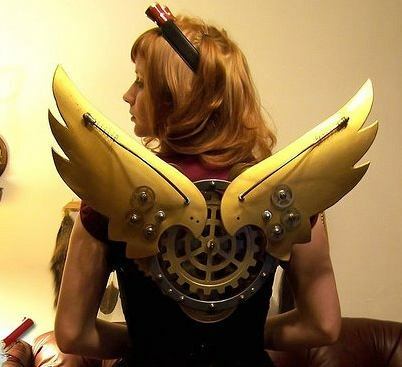 I think the recent surge in steampunk descends more from fantasy. Writers who’ve grown sick and tired of medieval-type scenarios have opened up another realm of the imagination, inventing cities rather than greenwoods, steam-age technologies rather than dragons and magic. That’s what I love and celebrate – a new territory for imagination. Moving from a medieval-type setting to a 19th century-type setting has many consequences. It’s a step away from simplicity and top-down hierarchy. A 19th century version of society is not only urban but political. Not political in the petty way of contemporary politics (like the poll-driven Australian Federal election currently under way) - I can’t find much inspiration in that.. But the politics of major social movements, revolutions and mass upheavals, yes, that is stirring and dramatic. Steampunk and Alternate History are a natural fit. I think of Steampunk as a special kind of appeal – the appeal of fantastical old-fashioned technology, developed in ways that real history never got around to. I think of Alternate History as a way of placing that world in relation to our world, the reader’s world. True, a steampunk world can just be another type of otherworld, and some are. But that’s a little harder to arrange than with a medieval-type world. After all, fairly primitive societies could easily develop similarly, whatever their origins – how could you fail to invent clubs or swords or some kind of tunic? It’s much less obvious that anyone had to develop flintlock pistols or broughams or tailcoats. That’s starting to look more like one particular history, our history – and if you want to incorporate such elements along with your fantasy inventions, a handy rationale is to suppose that fictional history was the same as real history up to a point – then diverted along a separate track. Short for Point of Divergence … that is, the first point at which something in your history veers off from real history, leading to ever-increasing difference. The way I see it, there are two approaches. 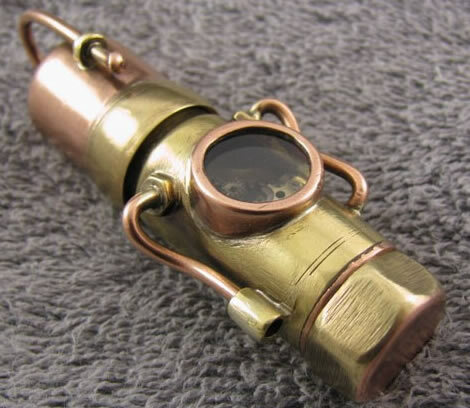 One is to create a steampunk world just because it looks good, just for the sheer delight of imagination – and then tie it on to real history as a secondary move. That’s what I did with Worldshaker – I was part-way through writing the first draft before I came up with Napoleon’s tunnel under the English Channel as my POD. It’s much the same if you think up a POD early, but never allow it to dominate your imaginative creation. The other approach is to start with a POD, and speculate seriously about what might have happened as a result. This produces Alternate History in the vein for which Harry Turtledove has become famous. It’s got just as much claim to the title, but it isn’t steampunk. On the subject of PODs, please can we have some more interesting and unusual ones? Hitler won WWII, Napoleon defeated Wellington at the Battle of Waterloo, the Spanish Armada landed and conquered Britain – these PODs have produced great Alternate History from early practitioners in the genre, but surely we don’t have to wear them out. There are so many points where the world could have taken a different turn – no need to fall into standard formulae at this early stage! The word ‘steampunk’ suggests the Age of Steam, which fits okay. But surely it’s only a pointer, not a hard-and-fast definition. I think any imaginary world based on any phase of the old Industrial Age deserves the title. Starting from the Industrial Revolution in, what, the 1770s? But even before that – what about Jay Lake’s Mainspring? That’s old-fashioned technology from before the Age of Steam, but it has the right feel, the authentic steampunky appeal. I don’t see the value of multiplying sub-genres with terms like Clockpunk. As for an end-point – even more vague. Certainly, the Edwardian Era has to be included, even though that allows for petrol engines, electrical power and even early plastics. Perhaps what matters is more the old-fashioned feel than the literal fact of when something was invented. Bakelite, for example. In general, I’d say plastics don’t belong in a steampunk world, and bakelite wasn’t taken up in a big way until after WWI. Yet I can envisage that particular kind of plastic in a steampunk world precisely because it was displaced and consigned to the junk-bin of history. It’s out-of-date-ness makes it usable. What about valve radios? Now we’re really pushing it. I’d let them in, so long as the world they’re let into has plenty of brass and copper and more old-fashioned-y stuff.